After a series of violent episodes linked to autism, 19-year-old Dina Dedes struck her father. Her mother, Joanne, turned to a controversial therapy that she says saved her daughter’s life — cannabis. After a series of violent episodes linked to autism, 19-year-old Dina Dedes struck her father. Her mother, Joanne, turned to a controversial therapy that she says saved her daughter's life — cannabis. "That was very disturbing for me because I thought, 'Oh my God,' we've got to do something,'" Joanne Dedes said. "It's your child no matter what and when you come to that point you kind of also question yourself. Where have you failed as a parent? Why you can't control your own child?" "Sometimes my husband has to tackle her to kind of ground her down. Especially if she throws her body against a wall, me and my husband have to make like a chain link and block the wall so she hits herself on us," Dedes said. "Sometimes I have bruises on my body." Two times the violent outbursts got so out of control, Dedes says, she called 9-1-1. Dedes, who says she's never tried marijuana, started asking physicians for cannabis, after extensive research online. The College of Physicians and Surgeons of Ontario advises doctors to "not prescribe marijuana to patients under the age of 25, unless all other conventional therapeutic options have been attempted and have failed to alleviate the patient's symptoms." The college, along with the Canadian Medical Association, says people under 25 are "at a greater risk than older adults for marijuana-associated harms, including suicidal ideation, illicit drug use, cannabis use disorder, and long-term cognitive impairment." Dedes went to five doctors across the GTA until she finally pleaded with one to write Dina a prescription eight months ago. "I thought we would see a difference within maybe three to four weeks and I'm not exaggerating, we saw a difference within four hours," she told CBC Toronto. "She just calmed right down and I thought, 'OK, is this my brain playing wave games or is this for real?'" They didn't tell Dina's teachers, but received a phone call from the school the following day indicating Dina's behaviour was drastically improved and inquiring if there had been a change in medication. "Now she's on medical marijuana and it's heaven sent," Dedes said. "She still has her little breakouts, so I'm not saying everything is perfect, but she hasn't damaged the house. She has not hit her father." By way of their own experiment, Dina's parents took her off medical cannabis two weeks ago for a day, and she threw the couch at a window shattering a pane of glass, her mom said. 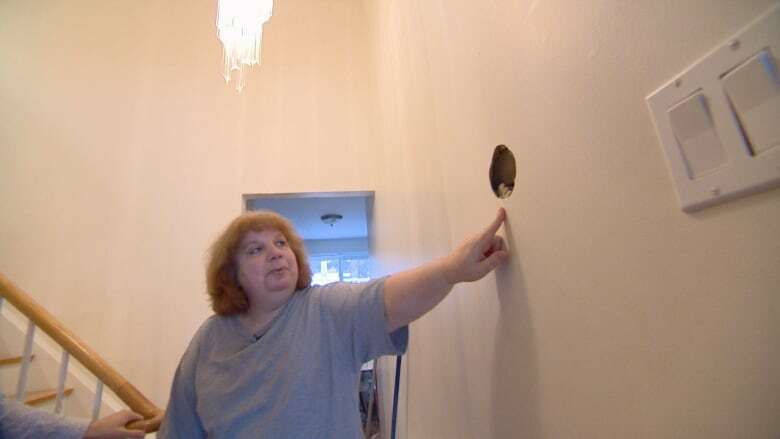 Joanne explained her "handyman" husband hasn't fixed any of the damage yet, "so I can show people out there what families with autism go through." Each morning and again at night, Dina takes a dose of CBD, or cannabidiol, the active chemical in the marijuana plant said to have medicinal properties. The medicine costs $645 every month and a half. "Even if it cost me $1,000 I would still pay it, because we have our sanity," Joanne said. Dr. Wendy Roberts, a developmental pediatrician who has worked with children with autism for decades, says she will not prescribe cannabis. "I think we're at a very early pilot level in terms of understanding how cannabis affects brain function … We simply don't know enough neuroscience to predict what may be happening and what may be irreversible," she said. She says recently an increased number of patients' families have asked her about cannabis therapy, and she worries it's giving people false hope. "My big concern is that parents feel this is a panacea and it's going to make a huge difference to the child's underlying autism," Dr. Roberts said. "That has not been my experience in following some of the young people who have tried it." The College of Physicians and Surgeons of Ontario warns physicians to "proceed cautiously" because there are no clinical guidelines for cannabis dosage. 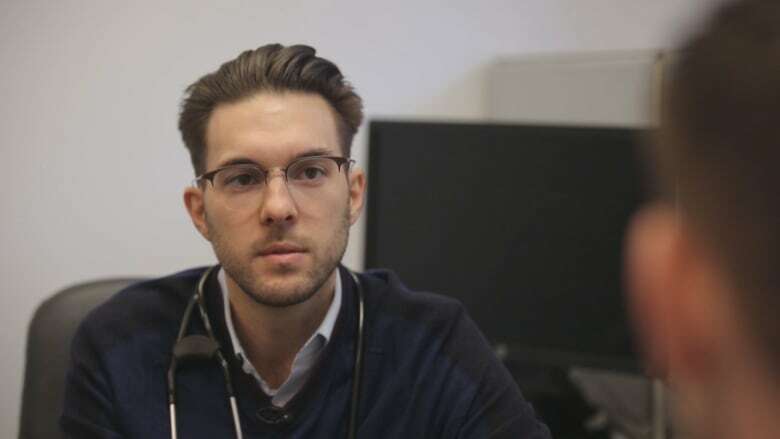 Dr. Michael Verbora, medical director at Canabo Medical Clinic, says he has seen "tremendous" success with cannabis therapy. He uses CBD, the same drug Dina is prescribed. He avoids THC, or tetrahydrocannabinol, which is the psychoactive ingredient in cannabis that gives the "high." "The cases that I'm seeing are so extreme that the risks of using CBD seem to be minimal compared to the benefits that could be achieved," Verbora said. "Medicine is both art and science and sometimes there's a lot of pressure to do something, and in these events we are being cautious." Currently, Verbora has about 10 pediatric cases with autism using cannabis and his youngest patient is seven years old. "The worst side effects I'm seeing are a little bit of sedation, but it's typically nowhere near the traditional pharmaceuticals these same patients would use for their behaviours anyway," he said. "These are very extreme cases where all hope is lost, so I'm not recommending it as a first-line therapy. I'm recommending it when there's nothing left to try and we have to do something." What is touted as the first clinical study in the world investigating the efficacy and safety of cannabis on autism is underway at Shaare Zedek Medical Centre in Israel. "We are looking for safety and reliability," said lead researcher Dr. Adi Aran, who is a pediatric neurologist. "Right now we are just assessing the short term complications but we are continuing our follow up." He says his centre has used cannabis to treat up to 250 children with autism aged five to 21. Results from an observational study found about 80 percent of children's severe behavioural problems improved. In the observational study, patients and their families were aware they were taking cannabis, so he says there is a concern there is a "placebo effect" — where a patient's improvement may be linked to thinking they will improve. In his ongoing randomized study, patients do not know if they are getting cannabis or not. He says early results from the randomized study show cannabis is helping. "When I started I think all the psychiatrists in Israel were against it, and now most of them accept it or are in favour of the study. So I think that with time people will learn to see that it is not as frightening as they thought."